How to buy a property in Spain without a hitch: legalities and intricacies of Spain property buying process. Buying a property in Spain is usually a big step in fulfilling your dream of living in a sunny Mediterranean climate and enjoying a seaside. The whole process might be (and should be) an enjoyable experience. You simply need to know how Spain’s property market works and all the possible pitfalls that you need to avoid when buying your dream home in the sun. In this guide to buying a property in Spain, you’ll find everything you need to know about property buying in Spain starting with the planning and research stage and going right through to completion and receiving your title deeds. Despite the negative publicity that Spain has received of late in relation to falling property prices, the fact of the matter is that it’s still one of the favourites with foreign property buyers, especially Europeans. The country is so stunning, so diverse, and has such a great climate – what’s not to love! Many see the current situation in Spain as the opportunity that they’ve been waiting for for years. Vendors and developers are so keen to sell in this stagnant market that there are bargains to be bagged. What’s more, these downturns in the market are part of a cyclical process. As long as you’re not buying property in Spain hoping to turn it around and make a fast buck, you’re probably buying a very solid investment for the long-term. The very first piece of the property buying process puzzle is deciding why you want to buy a property in Spain. Your decision will guide many elements in the rest of the process. So, are you buying for investment purposes, if so do you want rental income or is capital appreciation more important to you? Are you buying for family holidays, for you to live in and work from, or as a retirement property? With a decision clear in your mind, you can look at any property with this fundamental conclusion guiding your choice. 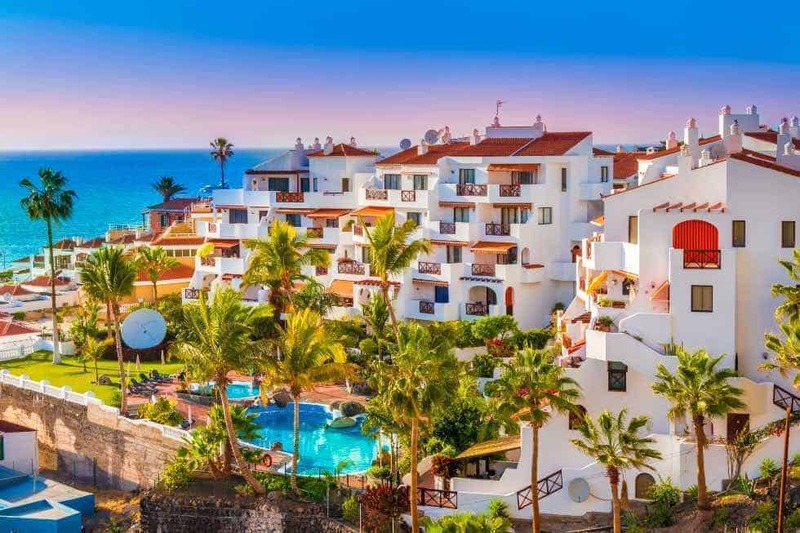 If you’re buying an apartment in Spain to let to the tourism market, you will surely then look at each property with your potential tenant’s tastes and desires in mind rather than your own. However, if you are planning to permanently live in Spain, that’s a totally different situation to consider. It’s all about your plans, your tastes, your future and your preferences. If you are retiring to Spain, you should chose your property very carefully. A right choice can help you make living in Spain a dream come true. Read 10 Tips to Make Retiring to Spain an Absolute Success to make sure you will never regret your decision. While you are looking for an ideal property, it may be wise to open a bank account in Spain. You can transfer about 15% of your planned budget to it as working capital with which you can make deposits and pay taxes and immediate charges when you’re ready to proceed. Remember that you will never get the best exchange rate from your bank, so look at the currency specialists out there and speak to them about your euro transfers and getting the best transfer and exchange deals. You might be put under clever pressure from these people to buy. Even if you are made feel like if you don’t sign for that ideal property the minute you see it, you will lose your chance to buy it forever, – it’s not a reason for hurried actions. In the end, there is always more than one ideal property, and if you really do want to make sure that you’re doing the right thing. You should take all the time you need to get to know everything about Spain and property before you make any commitment at all. Take all you hear with a pinch of salt, stay firm and true to the process! With your dream home found, to proceed you need to have a lawyer. Wherever you wish to buy a home in Spain, always make sure that you have an independent and professional solicitor to advise you on your purchase. It is even possible to get legal help from a UK based legal company specialising in Spanish Law and house purchase. They can act as an intermediary between you and a local lawyer. Make sure that the local lawyer representing your interests is independent from the estate agent, developer or company showing you the properties. If your Spanish is not very good, find an English-speaking lawyer. It is not as difficult in Spain and will ensure that you are explained all the details of the contract without ambiguities of translation, and make sure that the lawyer is specialised in Spanish land law (urbanismo). Ask for your lawyer’s registration number and check that they are registered and practising with the local bar association (Colegio de Abogados). Your lawyer should also have professional indemnity insurance. The most important advice is – do not sign any papers or hand over any money until you have taken independent legal advice. When you have found the property that ticks all your boxes, it’s time to make an offer. In this current market climate don’t be afraid to offer well below the asking price. Be ready to negotiate! Once an offer has been accepted you sign a conditional purchase contract that protects you and your deposit in the event that your lawyer finds something untoward with the property, its deeds or the vendor’s right to sell it. You will usually pay a deposit of about 10% at this point. If you haven’t already you will need to set up a bank account and have an NIE number in place – your lawyer or estate agent can help you with this. Now you need to keep a very close eye on your chosen lawyer and ensure they get on with searches and checks in a timely manner to meet the conditions of the contract. You can also have the property surveyed or valued by an independent surveyer, and it is strongly advisable especially if you buy a resale property. The results of the survey can give you a stronger negotiation position with the vendor and a better understanding of what you are really prepared to pay for the property. When it’s done and the agreement with the buyer is reached, your solicitor conducts necessary checks and does the due diligence. It usually involves reviewing the sale agreement, verifying titles, and carrying out other checks to ensure that your interests are protected. Next step is signing a private contract with the vendor. At this point you will also be required to put down a deposit as specified in the terms of the contract. Remember that changing your mind after signing the contract can cost you a fortune, so be absolutely sure of your decision before you sign. You are then given time to get your money in place prior signing the deeds before a Notary and taking possession of the property. The final step requires you to get your title inscribed in the property register, pay any relevant taxes and get utilities connected. In most cases the purchase price includes the estate agency fee (usually 5%), but do ask before signing a contract. It is common practice in Spain for Spanish vendors to inform the estate agent what net-amount they want from the sale. It is up to the agent then to charge as much on top of it as they can to increase their commission. Foreign vendors are most likely to choose a traditional way and negotiate a fee as a percentage of sale. Be aware of this when negotiating the purchase price. As a rule you will have to pay 10% of the purchase price as a transfer tax that goes to the Spanish Treasury. Don’t forget to budget in notary fees and a land/property registration fee, which varies according to the purchase price of the property. Also consider solicitors fee which can be 1% of the purchase price + VAT at 21%. If you intend to buy directly from a developer, which is not a rare case in Spain, where a big part of the construction market is specifically focused on foreign buyers, make sure you are dealing with a reputable company. There are certain risks involved with buying a property which is not built yet. Remember that the property market in Spain is abundant, so there is no real need to sign a Reservation Contract straight away under the agent’s pressure that the development is going to be sold off next day and you will be left behind. When you are sure that you want to proceed, try to negotiate a better deal with the developer. There is always something you can negotiate on to improve the deal for yourself: either a straightforward discount, or fixtures, or financial terms, or/and any conditions about snagging period. It is even possible to negotiate a 5% price reservation on your side until the snagging period is over. After you and the developer have agreed on the terms, you will be required to sign Reservation Contract (Documento de reserva) and put down a deposit, usually specified by the developer. Check that your Reservation Contract has a clause stating that the deposit is refundable in case you choose to withdraw. Such a clause is rare in this type of contract, so you might try to insist on it to protect yourself. Most reliable developers will agree to the clause. Before this, have your lawyer carry out an appropriate due diligence. Make sure your lawyer checks whether the land the building is on is registered under the developer’s name, whether the land is classified appropriately and whether the development has been issued a building licence by the local town hall and the planning permission has been obtained. Do your own due diligence as well on surroundings, infrastructure, facilities, etc. Make sure you have as detailed plans and specifications as possible, including the built area (superficie construida), useable area (superficie útil), total area including common areas (superficie total) and technical plans that show the functional installations. And finally make sure your developer has an adequate insurance or a bank guarantee (aval bancario) which is required by law for developers receiving stage payments for off-plan properties. This guarantee aims to protect your funds should anything go wrong with the construction. The developer should be able to present you with a certificate from the bank or an insurance company to prove that a proper insurance has been taken out. Next you will be required to sign a down payment contract or private contract (Contrato privado de compraventa). When signing the down payment contract, make sure you receive a document from the guarantor which confirms that your stage payments are guaranteed. The document must bear your name on it. At the signing of the contract you will usually be required to put down the first payment. The final payment is done when the property is completed and the deeds are signed. On completion the development should be granted a Licence of First Occupation (or ‘Licencia de Primera Ocupación’ ). This licence is issued by a town hall and is a legal confirmation that a newly-built property fully complies with all planning and building regulations, and is ready to be used as a dwelling. The process of buying a property in Spain is very straightforward when you know what it should be like. Getting the research right is the key to whether they whole purchase is a success. So, take your time, don’t rush or be swayed by estate agent’s veiled threats, and remember that this is one of the most important purchases you will ever make, so it is worth taking the time to make sure everything goes smoothly.